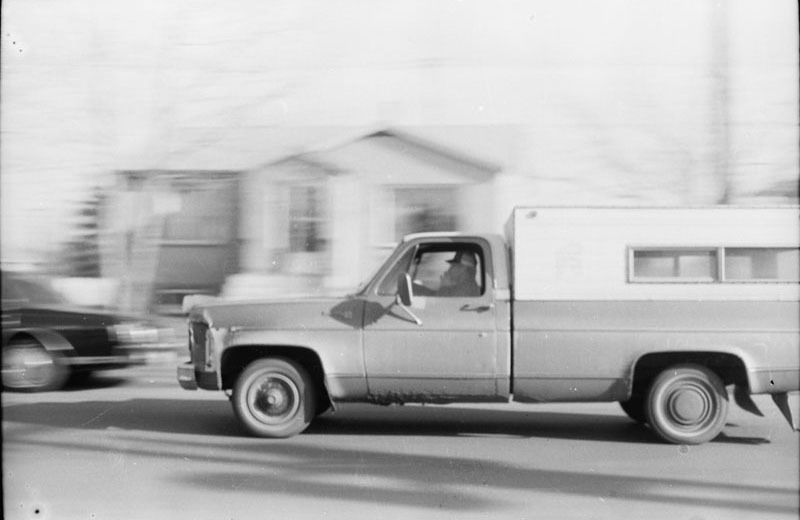 This was my attempt to photograph a moving image, keeping it in focus while blurring the background by holding the shutter open and tracking the subject - in this case, a truck zooming down the street in front of Leduc Junior High School. I guess it turned out decently. The cool thing about these Grade 8 photos is I developed them, too, with chemicals in the school darkroom.